"Come on, what are you waiting for," he told her as he started to yank on her sweatpants, trying to take them off. Smith pleaded for her safety and distracted the attackers by telling them she would get her money, which was "in my purse." 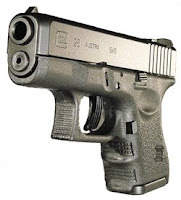 Approximately 2 MILLION Americans use a gun in self defense every year. The liberal media will usually ignore those stories and focus on the FEW accidental shootings that occur every year. 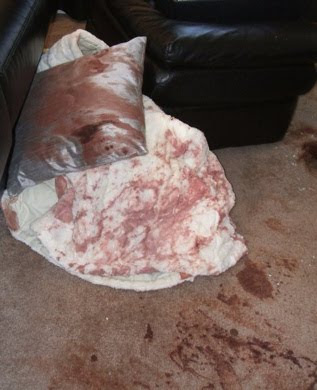 In the U.S. someone is raped every 2 minutes, murdered every 25 minutes and home invasions occur every 4 minutes. Illegal aliens murder 12 American citizens every single day. Hypocrites like Rosie O'Donell, one of the MANY anti-gun 'celeb-u-tards' who have armed body guards, alarm systems and security guards at their homes, believe average Americans shouldn't have guns in their home to protect themselves and their families. Most families can't afford the luxury of having body guards, surveillance systems etc.. It's just how irrational these liberal idiots are. 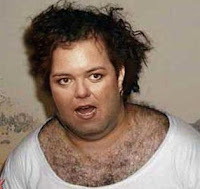 Rosie O'Donnell is the LAST woman who has to be worried about being raped, but other women have the right to be concerned. We live in a dangerous world (thanks to liberalism) and have thousands of lunatics out there who are looking for their next victim. Many attractive women are stalked and attacked every single day by criminals who watch their every move. When these anti-gun liberals fight for strict gun control laws, making it almost impossible to obtain a gun, they are actually discouraging many law-abiding citizens to obtain a permit for a handgun, which is really their main goal. These anti-gun kooks are partially responsible for victims of crime because they give comfort to the criminals while discouraging good, law-abiding, responsible American citizens from owning a gun for protection. Rosies a pig. Liberals are against guns but they have them in their home. What good is a gun in your car when you have to have it unloaded and in the trunk? If that young couple from Tennessee had a loaded handgun in their console, they wouldn't of been carjacked, beaten, tortured and raped for days while they watched eachother, then burned after swallowing bleach and having their genetals cut off. If only they had a 300.00 gun in their console! I love a story that ends in dead robbers. My kids started shooting at 10 years old. I take the mystery of the firearm away and have never had to lock a gun up. Kudos to this brave woman. Of course wackjob liberals will blame the victim & sympathize with the savages. I wonder what Lord Obama, Mayor Doomsberg of NYC & Mayor Mafia Don Daley of Chicago think of this. Knowing those three gun grabbing idiots they probably wanted to have this poor woman held up on charges for defending herself. Liberalism is a mental disorder. By the same rationale. Iran should have nuclear arms?